Hi there!! As we mentioned that a lot more new buses are coming, here is our new 13.80-meter bus. 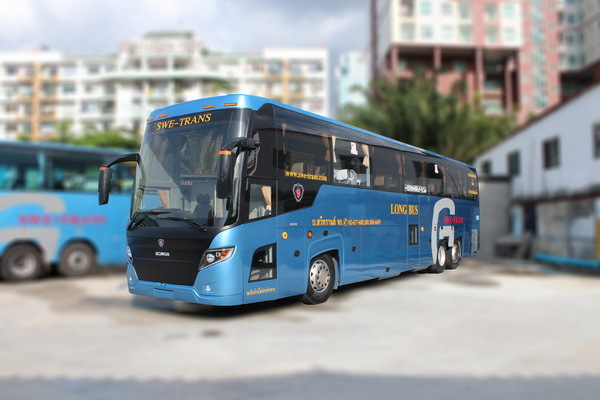 In general, buses that normally fit approximately 50 pax in Thailand is double-deck buses. But this is different!! This is a single-deck bus which is longer that normal buses in Thailand. With this long bus, you can reduce number of the bus for your trip, especially reduce cost of your trip. For more information, please contact us at varisra.c@swe-trans.com.